As kids, we spent our summmers in Corolla, North Carolina. More specifically, we spent much of our time in Whalehead Beach. We were fortunate to have grandparents who purchased a cottage in Whalehead on the ocean in the early 80's - it was the 9th house built in Whalehead. We grew up with wild horses and the smell of the ocean. We didn't know how lucky we were at the time, but we do now. Our grandparents taught us to enjoy and to respect the beach, and now we want to pass the fun and relaxation on to you. Our mission is to provide the best experience possible for our guests at the beach. We go beyond beach service by truly being your first point of contact for anything you need in the Outer Banks. We don't want you to miss a moment of fun on the beach. That's why we ensure your rentals and equipment are where you want it, when you want it. There are no hand-me-downs here at EnjoyTheBeach OBX. We make sure all beach equipment, from chairs to coolers, are as good as the ones you have at home. Beach culture is all about smiles and sunshine, and we extend that experience to you as if you were our own family. Call or text us at anytime! Want to know where to get the best seafood, or find out where the best surf spot is? We've been here for over 30 years and would love to tell your our stories! 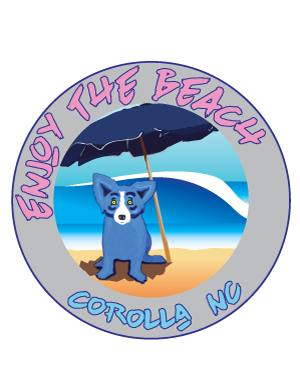 READY TO ENJOY THE OUTER BANKS? When we're not hauling gear, we are doing the same thing you are.... enjoying the beach! We surf, fish and hang out at our favorite local spots. We will do whatever we can to help you enjoy the beach because you shouldn’t have to work on your vacation. © 2018 All rights reserved. EnjoyTheBeach OBX.